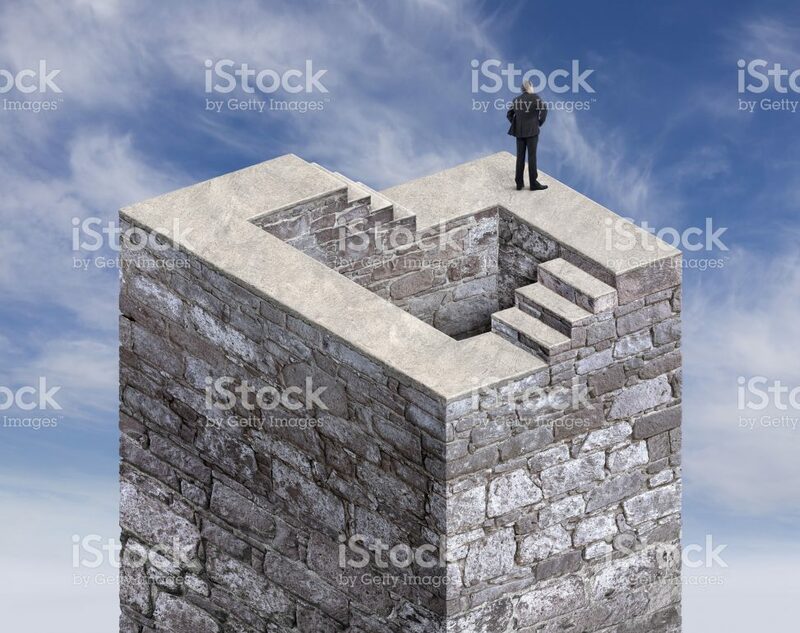 Rear view of businessman standing and looking on top of the tower and impossible staircase made with stone and cloudy sky background. He is looking further, thinking and searching new ideas. Digitally generated image inspired Escher’s impossible stairs.